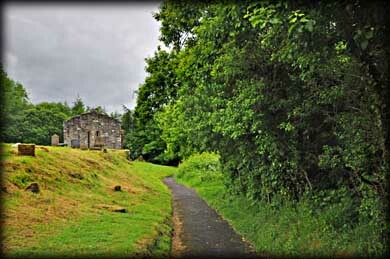 As I walked back up the path from Dungiven Priory I turned to take a shot looking back down the track. There on my right was a sign pointing to the Wart Well. I had walked straight by the sign on my way down. 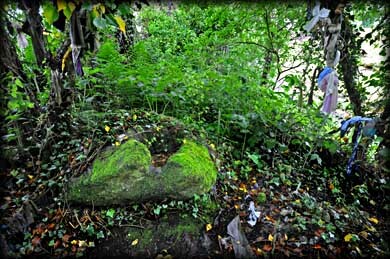 The well is actually a large bullaun hidden in a thicket of thorn trees. 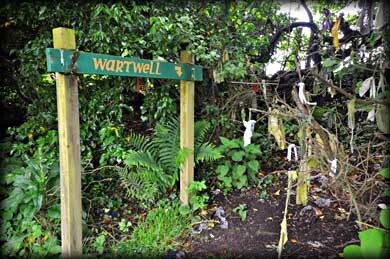 There were a large number of clooties (rags) tied to the trees around the well. What a delightful find this was. 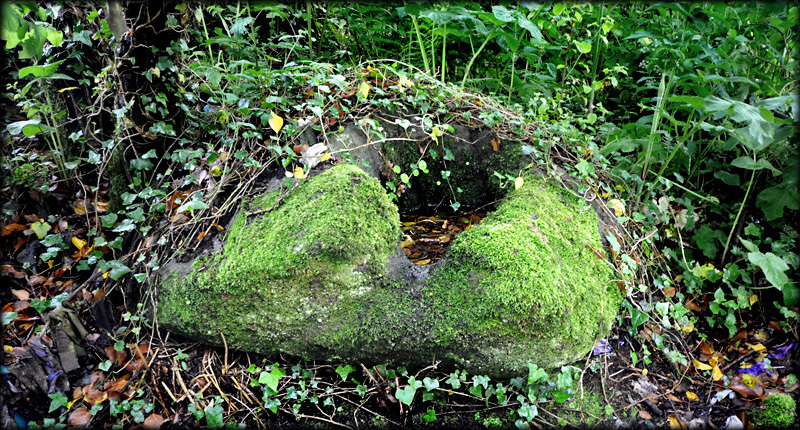 There are lots of bullaun stones near ecclesiastic sites referred to as wells and most of the ones I have come across are said to cure warts. The custom is that the afflicted person would soak the rag in the water and wash their skin with it, then tie the clootie to the tree. As the rag rots so too does their wart. Situated: If you enter Dungiven from the A6 (South) take the first left sign-posted Dungiven Priory. Park here and walk down to the Priory. When you go through the gates the Wart Well is in the bushes on the right. Discoverer Map 7: C 6919 0830. Last visit Jun 2013.